- 2 Piece sharpener with the bottom serving as a Shaving Cup. - Available in Assorted colours. - Made Using top Quality Japanese Blade for long serving life. - 12 Pcs / Inner Box. 600 pcs / Carton. Our organization Geetanjali Exports is passionately engaged in offering an exclusive array of Pencil Sharpeners to the customers. These products are made from high quality components and exported worldwide. Specification:• Appropriate grove/hole for proper sharpening of pencil from 6.4 mm to 7.3 mm diameter.• Proper fitting process is used to fit blade on sharpener base. 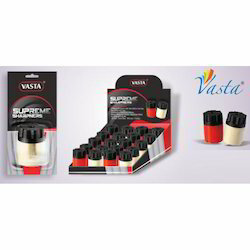 We are the leading organization in the market to offer the best quality range of Apsara Long Point Sharpener. We offer superior quality Sharpeners, which are able to chisel the woods and polymer with perfection and accuracy. 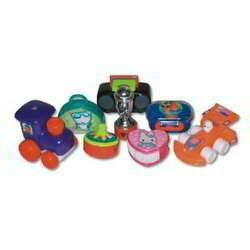 These reasonably priced sharpeners are manufactured using optimum quality raw material. Backed by a team of knowledgeable professionals, we are an identified entity in the market for providing Pencil Sharpener Eraser Set.